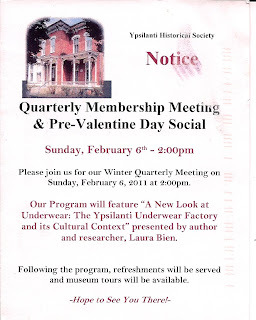 Hey folks, I'm giving a talk at the Ypsi Historical Society's quarterly meeting this coming Superbowl Sunday at 2 p.m. at the Museum, 300 N. Huron. 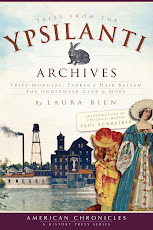 Talk with cool images (on the new Archives big-screen TV) on new scholarship, new discoveries, the role of women workers, and the cultural context regarding the usually hackneyed old topic of our underwear factory. It's been done to death, no? I agree. But I've found new information that sheds a new, more nuanced light on the har-de-har nudge-nudge wink-wink aspect of the famous mural and of the underwear's role in its time. Learned a lot doing this project. Let me tell you about it. 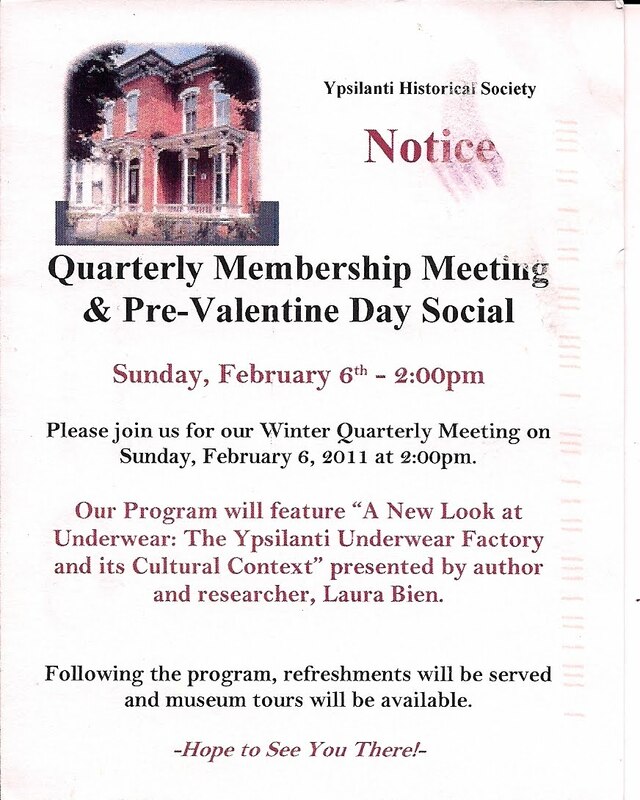 Refreshments and museum tours to follow: all free! Free parking as well. Hope to see you! 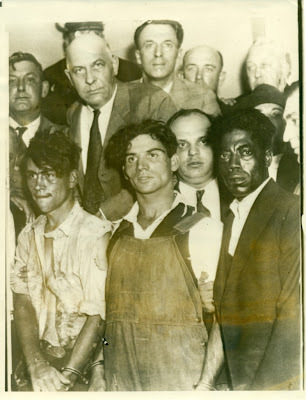 eBay has for sale a photo of the three men that allegedly robbed two couples in Peninsular Park, drove them to Tuttle Hill Road and murdered them and burned their bodies, in August of 1931. The photo comes with what seems to be a newspaper article of the day, but the text is unattributed. 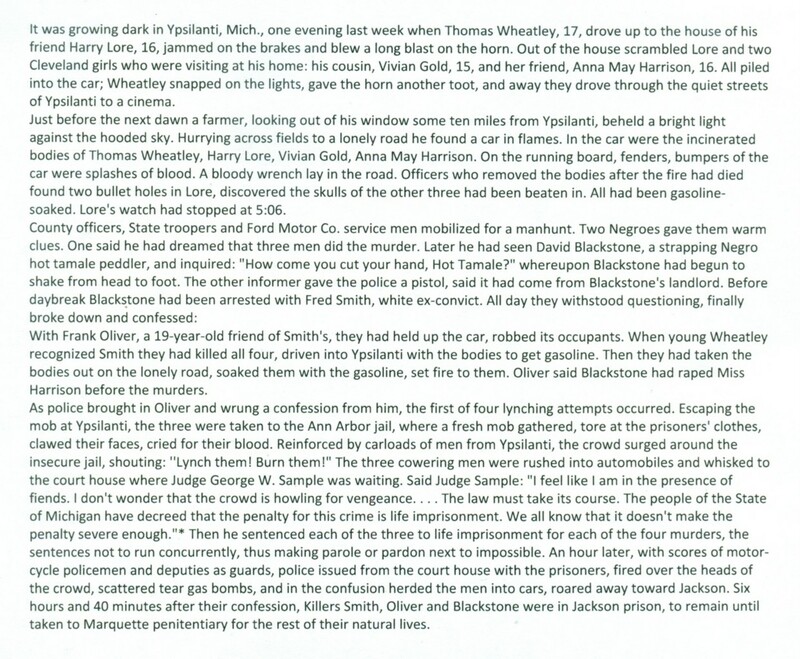 For more on the Torch Murders, here is Edward Deake's Gleaning's story. 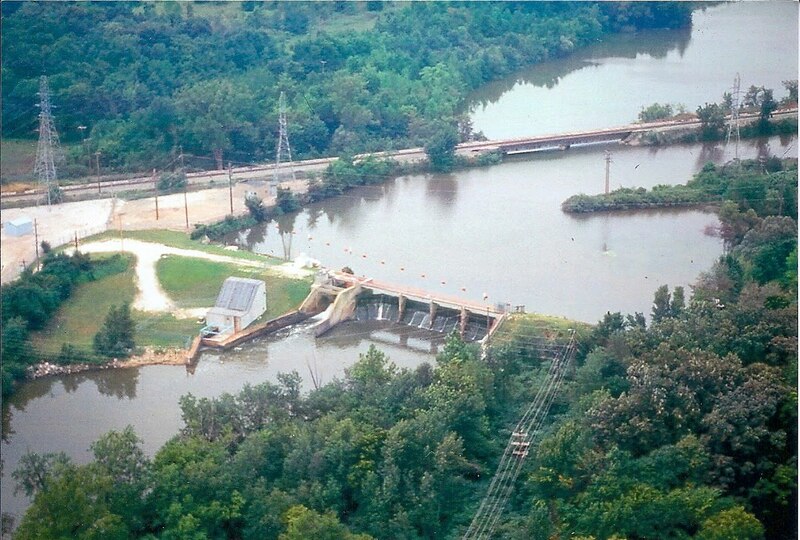 Can You Identify These Mystery Spots? It was just a dusty envelope of old-school film snapshots in the back storage area. Archives personnel spread them out over the table this week and pored over them. We identified the correct street address for over half of them, labeled them, and filed them in their proper "Location" file. Now, like you, I'm in the same boat. I know very well that "Oh, that's the one on Cross street..." or "Oh yeah, the one in Normal Park..." but what is needed to file these is street numbers as well. I identified as many as I could, but I just don't have time to go out biking all over the city trying to spot the outliers. May I ask for readers' kind help? Would you know the street name and number for any of these locations? I'd be grateful for any kind help and I'll mark the ones identified. And thank you! 1923 and 2011 photos of the onetime Deist Grocery in Depot Town. 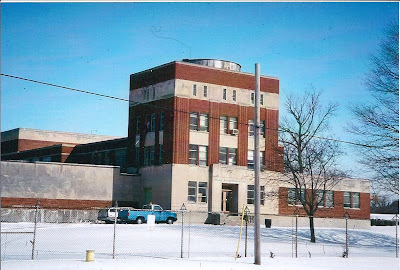 The building burned in the 1970s. Now here is a curious document from the Archives. 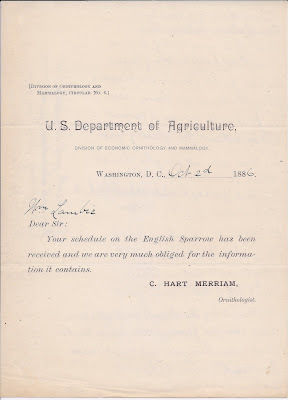 It is a letter sent from the federal board of agriculture to onetime local poet-farmer William Lambie. 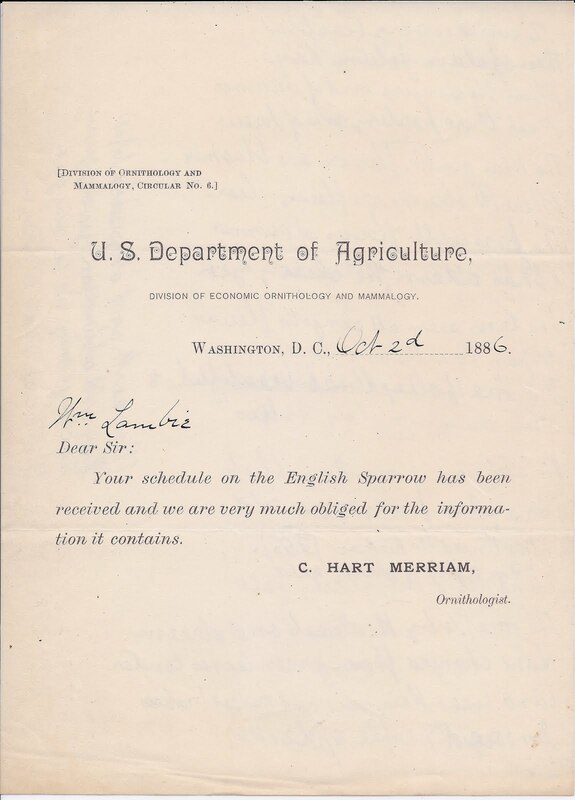 Dated October 2, 1886, the form letter thanks Lambie for the receipt of his count of English Sparrows. 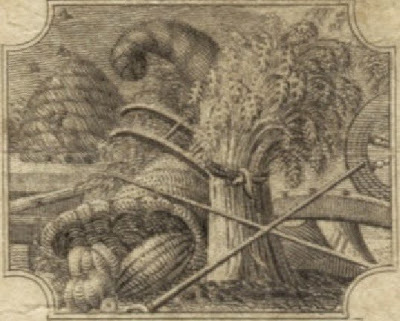 The non-native English Sparrow was a serious farm pest, consuming volumes of grain from farm fields. It was such a problem that there was enough material for me to write a whole story about it over at the Chronicle. Of course, yesterday my husband filled up our bird feeder and there are a whole passel of English Sparrows hungrily pecking up the grain right now...times change. Another curious aspect is: why on earth was this inconsequential bit of ephemera saved among Lambie's effects? Much less handed down through the years? It's interesting of course, but it seems odd that this form letter would float through the years to become part of the Archives holdings. A mystery. (click for larger image). 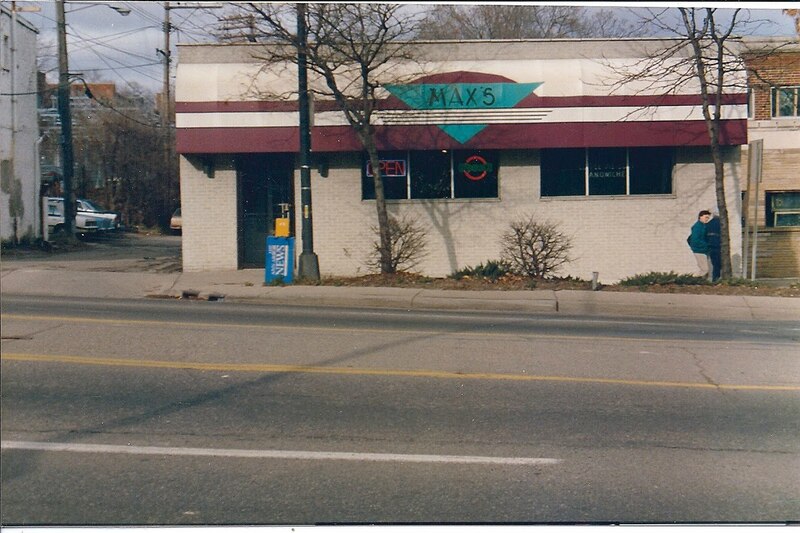 Dusty D's favorite paper from Ypsilanti's past is definitely the Ypsilanti Commercial. Originally edited by the tempestuous C. R. Pattison, the paper was taken over in 1887 by the Coe Brothers when Pattison retired. 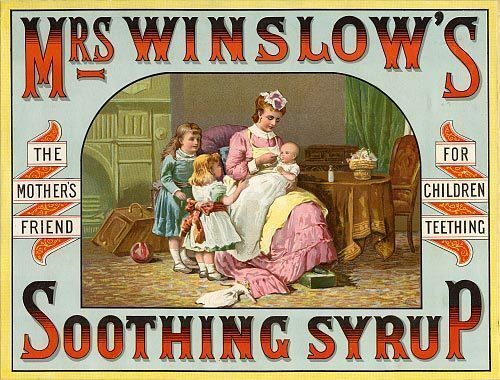 The Commercial under Pattison was pro-Temperance, pro-suffrage, and anti-slavery. Pattison engaged in regular and fiery criticisms of the other city paper over at Michigan Avenue and Washington, the Sentinel. 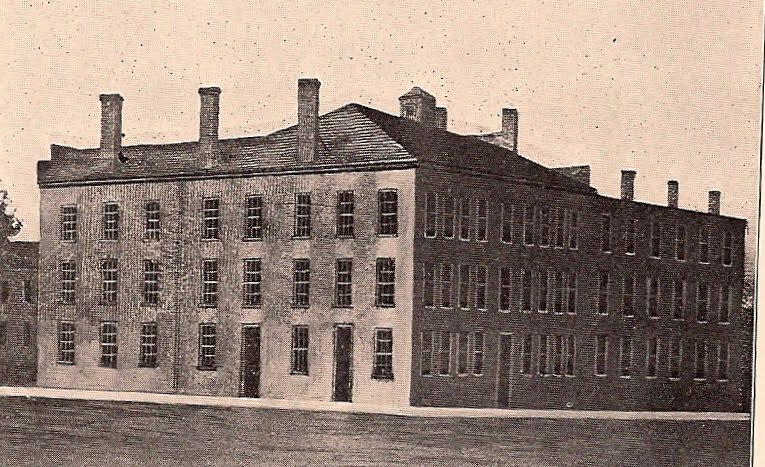 Under Pattison, the Commercial printing house stood on top of the Riverside Park sledding hill on the southeast corner of Cross and Huron; it later moved to Pearl and Huron. But it wasn't just a newspaper. 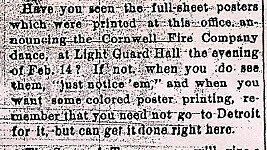 They did all sort of job printing for anyone who wanted posters, commencement booklets, wedding announcements, church bulletins, calling cards, and so on. Dusty D's Baltimore grandfather, Charles Benjamin Franklin Bien, was a job printer, and DD's dad, a longtime printing press mechanic, owns a beautiful old-school self-inking platen press. 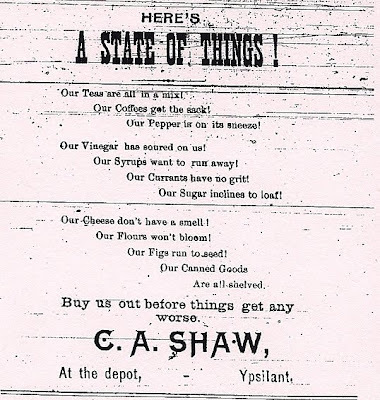 A look at some tidbits from the January 27, 1888 issue gives a peek at life in the printing house. Here's one example of the job printing done there: a color poster advertising the Cornwell Fire Company's Masquerade Ball. Dusty D is not sure why a fire company is throwing a gala masquerade, but there you are. 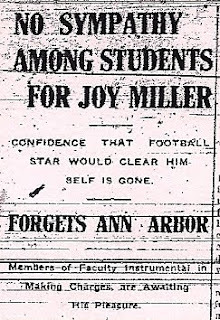 Another item published at the Commercial was the Normal News, the campus newspaper. 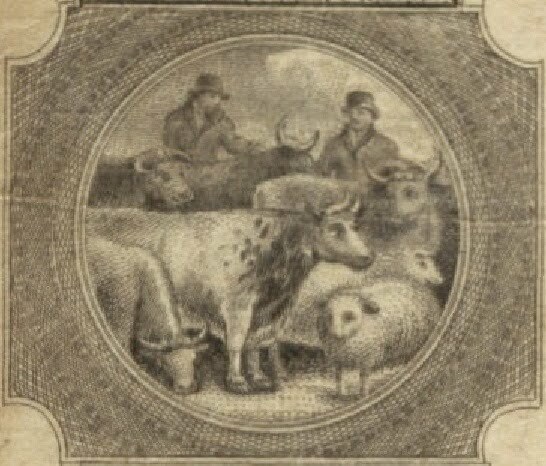 Under the Coe Brothers (later just Henry Coe), the Commercial gentled down a bit from Pattison's fusillades of the past. 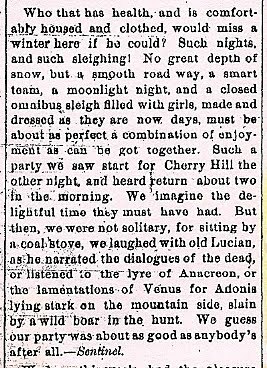 They even went so far as to reprint a most charming description, taken from their rival the Sentinel, describing an evening of sleighing and reading. 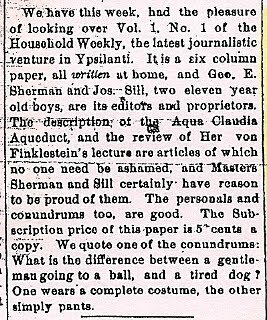 A final charming tidbit details a handwritten newspaper written by two young Ypsi boys, even finding space in the Commercial to reprint one of their jokes. Dusty D felt a shiver down my spine of mingled astonishment and awe when I heard today from the daughter of a living (90 years old!) relative of Polar explorer (and recent AA Chronicle story subject) Edward Israel! I'll be talking to this lady on the phone soon. I love to read about polar exploration history, have about 6 feet of books on the subject, everything from Shackleton to a giant tome on the Cook-Peary controversy...and to have a faraway voice coming down the telephone wire from an actual living relative of the people I read about...it's as if the book opened up and a living person walked out. Unbelievable. I'll definitely tape and transcribe the conversation and post it here. 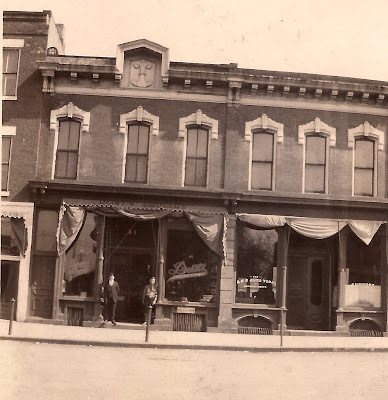 A: Wiedman's Ford dealership on Pearl. You can even see individual Fords parked in his car lot! B: Huron Hotel, THE place to stay! D: I *think* that this is the old interurban car barn, apparently not yet torn down. E: Cleary Business College with its distinctive tower. The EMU School of Business is there today. F: Note all the industries on the Water Street property. G: There was a dump in this area around this time...I think this might be the dump. I & J: These appear to be orchards. I am charmed by how closely the rural landscape is to town in this era. See anything else of note? Do pop it in "Comments" if you would, thanks! 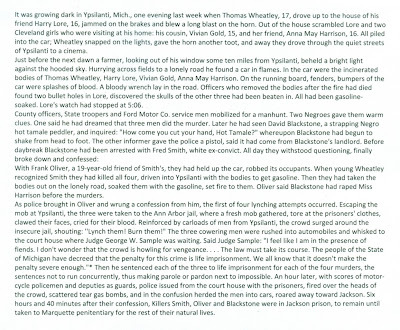 1876, January 25: Frank and Jones killed the two pigs. Burns Birthday. Frank thought the buckwheat too damp to thrash, the soft corn about fed out. Read the Hamilton papers that Sir William Wallace's mother was a Strathaven woman. Why did I leave the friendly early days to live far away-toiling and saving, receiving little wealth on the misty marsh at Ypsilanti? 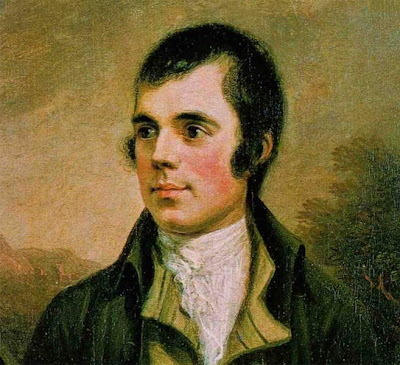 1877, January 25: Robert Burns Birthday-born 1759. 1879, January 25: Burns born 120 years ago. Wife and I went to hear Andrew Campbell lecture on Burns' in the evening-good lecture to a small audience. 1881, January 25: Took a load of Scholars, Teachers and Chickens to Town. 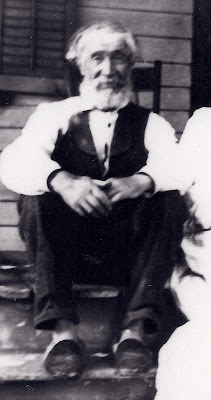 Mr. Chidester paid $2.45 for 11 Roosters-Mr. Fletcher's man left $35 for the cow, Star. (Lambie didn't ALWAYS mention Burns' birthday each year). 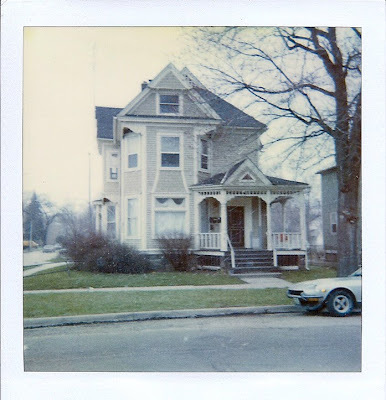 1887, January 25: Burn's Birthday-the time for Scotchmen to make speeches, sing and eat Haggis-Frank came at night from Detroit and brought good news that Mother on the edge of 90 was in good health and spirits. 1888, January 20: Just above zero and dreary-few eggs and little milk. Had account of hundreds being frozen to death in Dakota. 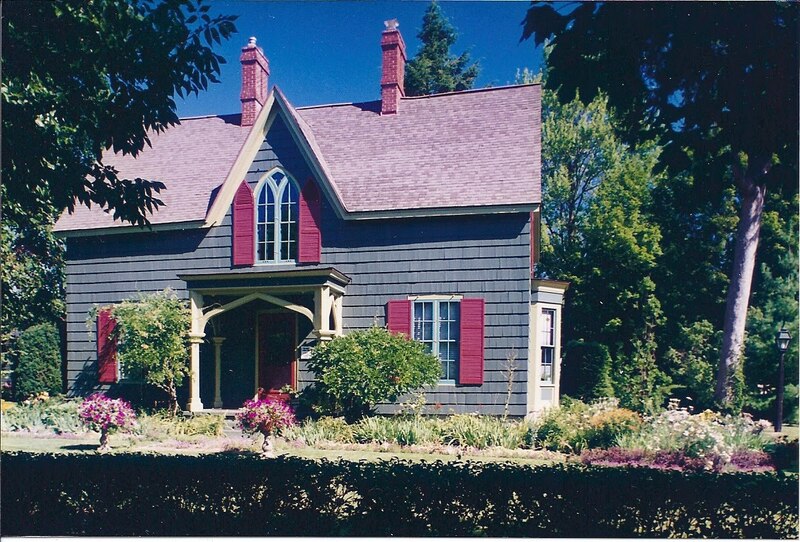 Mr. Fairfield called and invited me to read a poem for Burns' Anniversary at the Congregational Social next Tuesday. 1889, January 25: 25. Robert and I walked in the old woods. Burn's Birthday. Light frost and sunshine. Paid Mr. Woodruff one dollar for the Sentinel. Belle went to Ann Arbor. 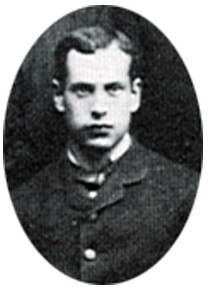 1890, January 25: Burn's Anniversary. Robert and his man sawed and split LaFurge's wood and I helped. 1891, January 25: A day for Scotchmen to celebrate-Burn's Anniversary. The cow Robert bo't from Knapp had a calf. 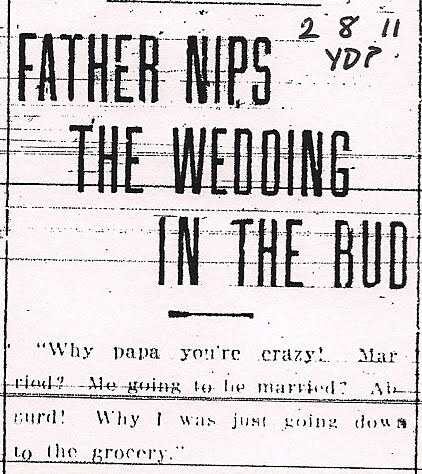 1895, January 25: Burn's Birthday-Drifting snow. Frank sold hay and went round by Bells to take Mary to his house. Brother Robert called in the cold and bro't papers. 1896, January 25: Burn's Anniversary-Belle came here and Mary went to Town then Mary went home with Willie-Mild and muddy. 1897, January 25: The thermometer about at the bottom, 10 below here and 16 at Frank's farm-Burn's Birthday-sunshine-below zero all day. The final time Lambie mentioned Burns in his journal was in January of 1899. He died the following spring. 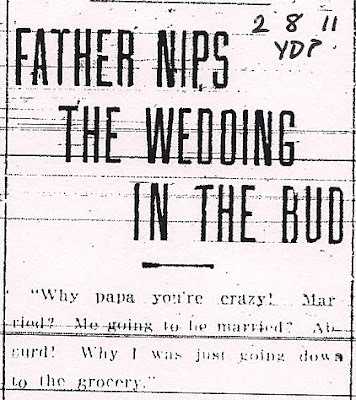 1899, January 25: Burns Day-Mr. Hunter, his wife & daughter came to see us. Robert brot Oats & corn to feed the hungry hens. Friday Jan. 17th: This has been a very pleasant day. Mama and I went over to the Normal hall at 1 o'clock to try over my piece in the hall but as there was someone taking a lesson on the organ we could not then we went over again about five but they were all there rehearsing for the evening, so Mama and I were coming home in disgust when we met the janitor Mr. Vroman and he said if we would [come] over at six they would all be gone and they would have some matches on the piano so we could light the gas so we came home and Rick went over with us at six and we succeeded in practicing three times and out. I played "The Daughter of the Regiment by C. de [Beriot?] received an encore and then played "Way down upon the Swanee River." And I also played an obbligato solo for Mrs. Pease. Mr. Pease complimented me and also mama on playing my accomplishment. The rest of the Public went off very nicely. Saturday Jan. 18th: Mama, grandma and I went down town this P.M. It is getting colder. Sunday Jan. 19th: This is Grandpa's birthday. Papa's was the 15th but as they come so near together we always celebrate them the same day and as grandpa is the oldest we had it on his. We had a splendid turkey dinner mixed nuts, pudding and birthday cake with candies in the frosting and flag standing in the center. Eber has been home all this week on account of sickness and this afternoon Lew, Mr. Moore and Mr. Savage drove from A.A. to see how he was and make us all a visit. Mr. Moore and Lew have shaved their mustaches off and it makes them look strange. We cut the cake and had cider and ginger ale. They started for home about 4 o'clock. Towards evening it grew cloudy and rained hard. Monday Jan. 20: Early this morning the wind blew very hard. A great many of the students are out of school with la Grip also Miss King (the Preceptress). 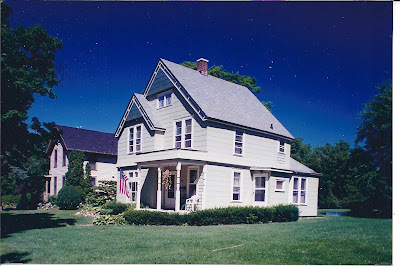 This evening Mama, Grandma and I went down to the reception of Bishop Walker of Dakota and our new Bishop Divies which was at the Rectory. There were about 2 hundred present during the evening and we all had a lovely time. 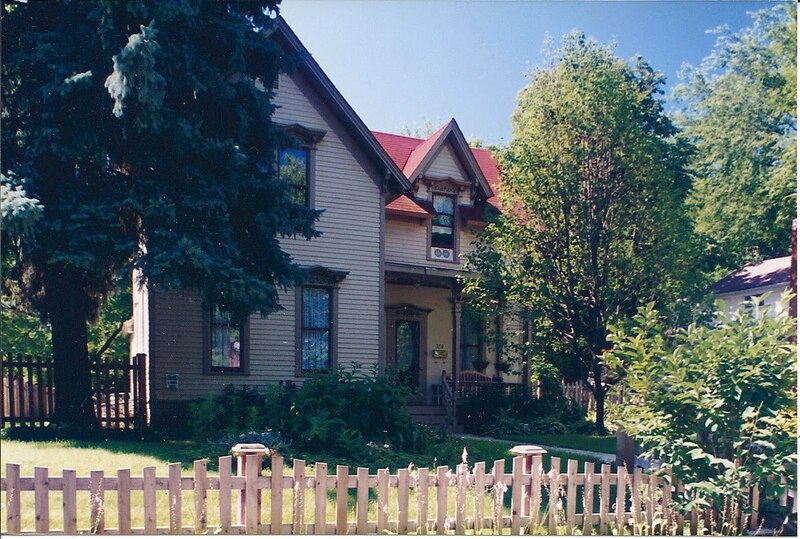 Margaret, Gilbert, Alice + Nan Babbitt, Susie Barnwell and I waited on the refreshments. Bishop Walker is a splendid man, six feet 6 inch tall and very nice looking and very pleasant everyone likes him so much. Bishop Davies is very nice but I do not like him as well as Walker. Margaret and I went down to the greenhouse and got some roses for Mrs. Woodruff and she was delighted with them. Tuesday Jan. 21st: It is quite a good deal colder to-day. Wensday Jan. 22nd: This afternoon Genie [Minickle?] came over here and we studied grammar idioms together all the afternoon. mama went this P.M. to the Literary Society at Mrs. Watlings and went to see how Mr. Henderson is. He is very sick and not expected to live. Thursday Jan. 23rd: The ice is frozen about four inch on the river and all the [men?] went over this morning to sweep off the snow as it snowed last night. I was taken sick this morning with chill and malarial fever had Dr. [Balwill?] this afternoon. Prof. Suderer's came this evening but I could not take a lesson. Friday Jan. 24th: I am in bed yet. Rick is also very sick. Eber came home from A.A. at 5:30 but says he must drive up in the morning as there is to be an examination in Blackstone in the morning. The men have been getting machinery together for cutting ice although it is so thin but think we may not have any thicker. Saturday Jan. 25th: This has been a beautiful day and above freezing and the ice is melting; no hope of cutting ice. Eber rode to A.A. this morning started at half past seven, took his ex. and arrived home about 1 p.m. I am feeling better but yet in bed. Grandma was up all day. Thanks for reading; next Tuesday is the next chapter. And with this successful concert we'll leave Abba till next Tuesday. Thanks for reading! 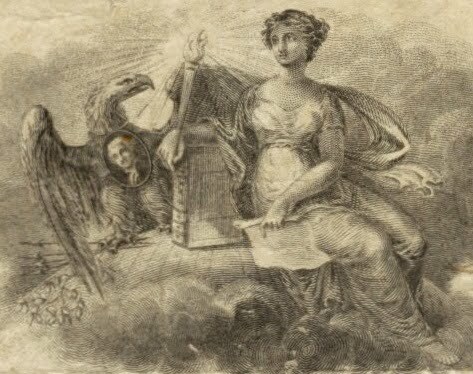 Lady with book, torch, document, and eagle, who has his own George Washington necklace and a clawful of arrows and greenery...what is this hodgepodge of images from? Ah. It's an 1857 banknote from the Bank of Ypsilanti. What a beautiful piece of art. One hundred years ago today, a "tramp" was housed in the city jail for vagrancy. The city jail (and city hall) was still the small building on the north side of Cross just west of the river. 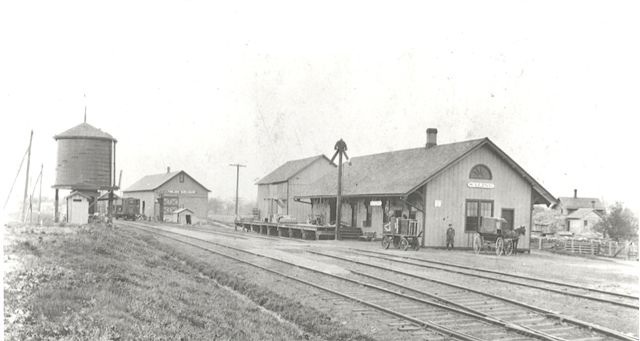 A hobo jungle existed just north of Forest Avenue near the river, and "tramps" hopping on and off of trains were common in the Depot Town neighborhood. But what to do if the tramp potentially carried a dread disease? 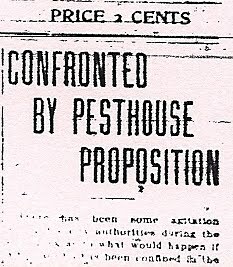 The Ypsilanti Daily Press discussed the options in a January 24, 1911 article. 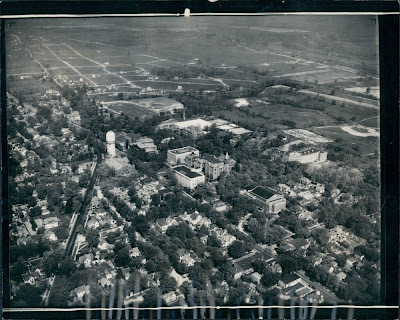 "There has been some agitation among the city authorities during the past week as to what would happen if a tramp who has been confined in the city jail should become ill with smallpox as was recently the case in the Ann Arbor jail. How would he be cared for and where? The city has no detention hospital and no pest house to keep a person in. What would become of him and how could he be isolated from the public to prevent the spread of the dread disease? "Mayor Towner stated to a Press representative today that he had given notice to the Board of Health that something definite must be done in the near future to proovide for such an emergency. "One plan that has been suggested is that a portable pest house should be purchased by the city and placed on the property near the Water Works station [today Water Works Park]. These portable houses may be purchased of a firm in the northern part of the state at a reasonable figure. 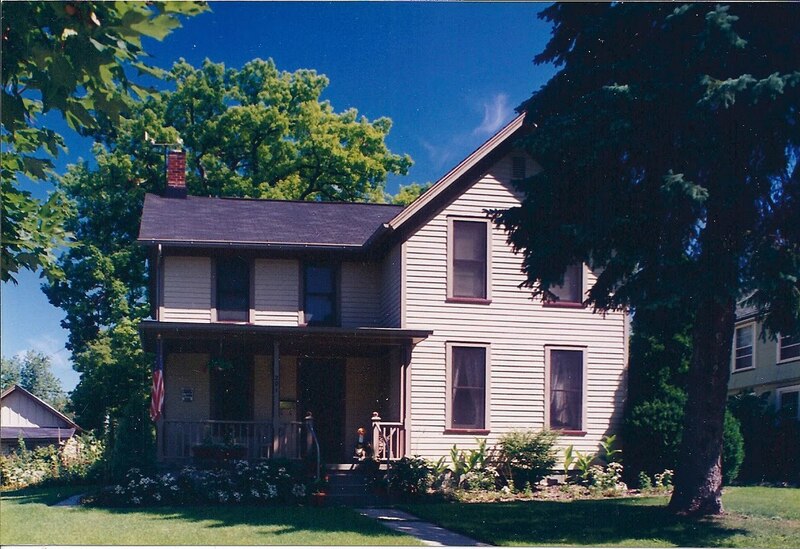 One or more rooms could be purchased just as desirable. 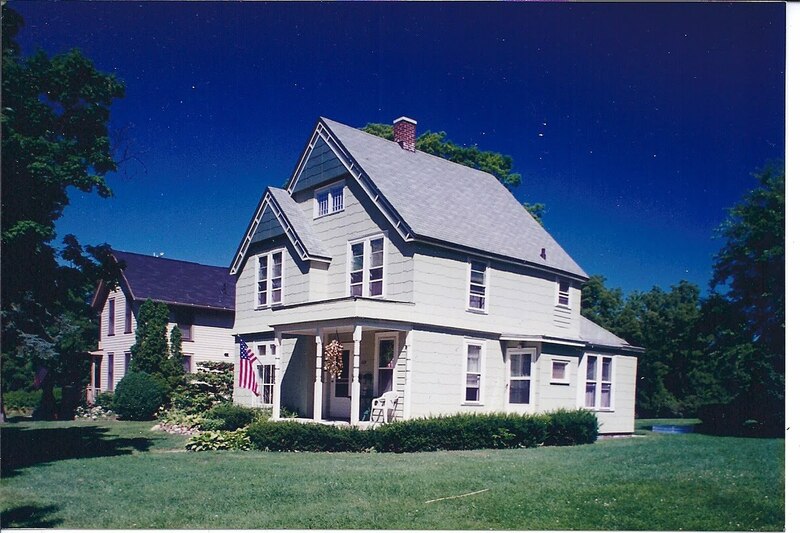 These houses are strong and warmly built and are put together with staples. "A meeting of the Board of Health and the Council will probably be held very soon to discuss the advisability of such a purchase." The tale of thwarted love between a 32-year-old Ypsilanti Italian immigrant and his teenage love, complete with a secret plan to elope on the interurban that was sadly quashed. Washtenaw County has a connection to one of the most horrific and tragic tales in the annals of late 19th-century polar-exploration literature. It's the tale of onetime U-M student Edward Israel, a brilliant mathematician adored by his professors, who was tapped for the ill-starred Lady Franklin Bay expedition. He rode north along the western coast of Greenland on the Proteus, in whose hold lay 200 separate scientific instruments. None of them could measure why his dead body was the only one not cannibalized on Cape Sabine. Story. 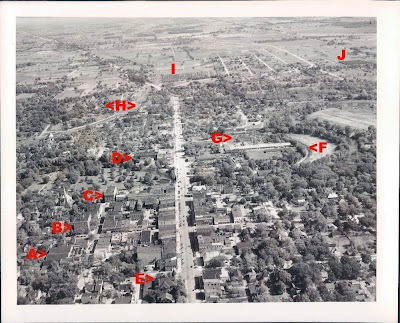 This item was found on an online auction (larger image here) by Ann Arbor historian Wystan Stevens. 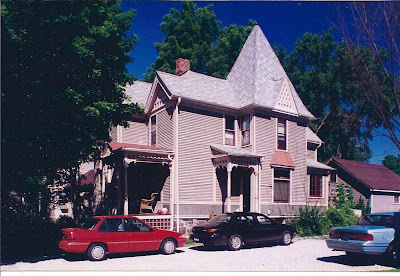 He speculated that the SOS octagon house was located ner the water tower prior to 1966, when it was moved to River Street. 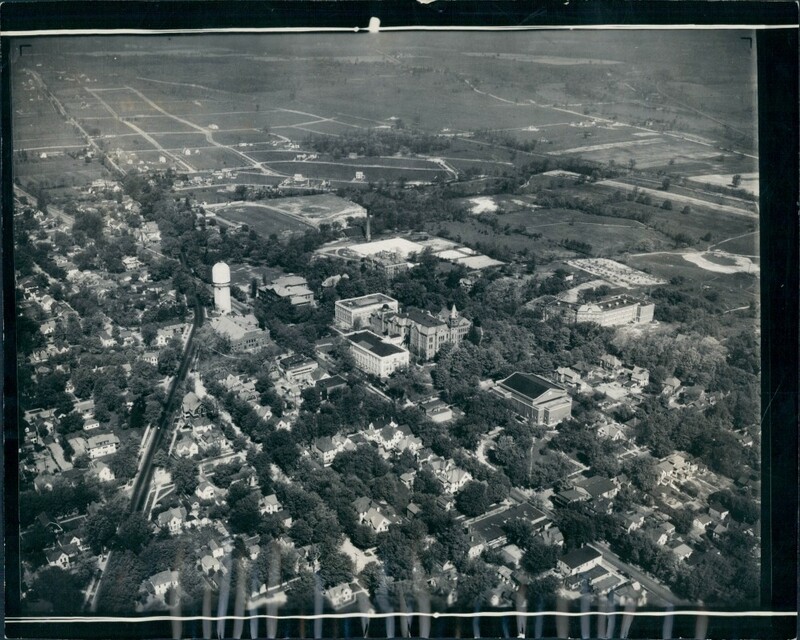 *Look at how small the EMU campus is, even including the gymnasium just east of the Water Tower. *Farm(? 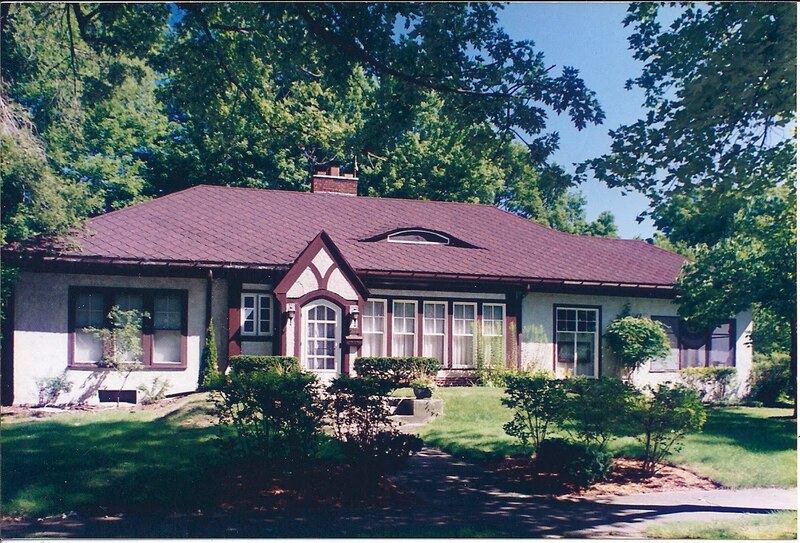 )land just a stone's throw from campus. 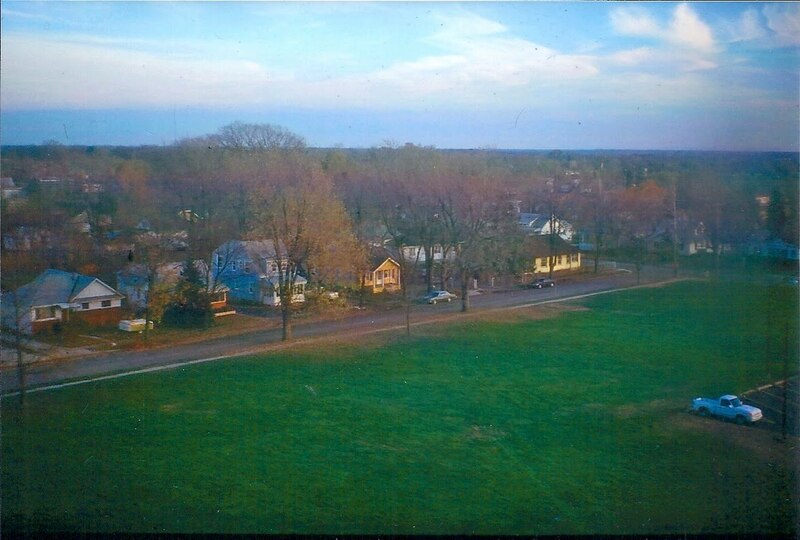 *Just west of town, looks like Washtenaw turns into a dirt road. 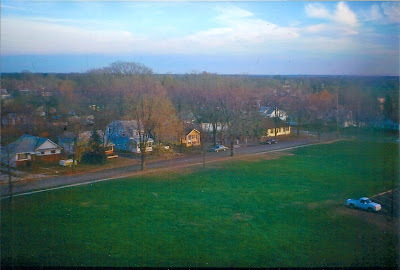 *Look at how isolated Roosevelt School/Hall is from the other few campus buildings. It's in a grove of trees, for Pete's sake. *The farmed patch to the north and west of Roosevelt might be the school's onetime flower garden. *There appears to be a residential block just north of Pease Hall. 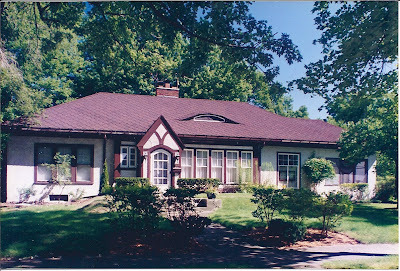 Professors' homes? 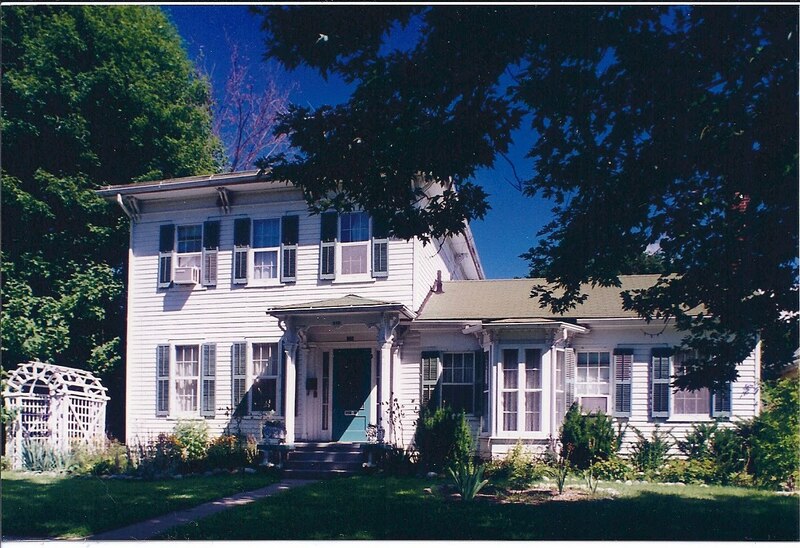 Student boarding houses? What tidbits do you notice? 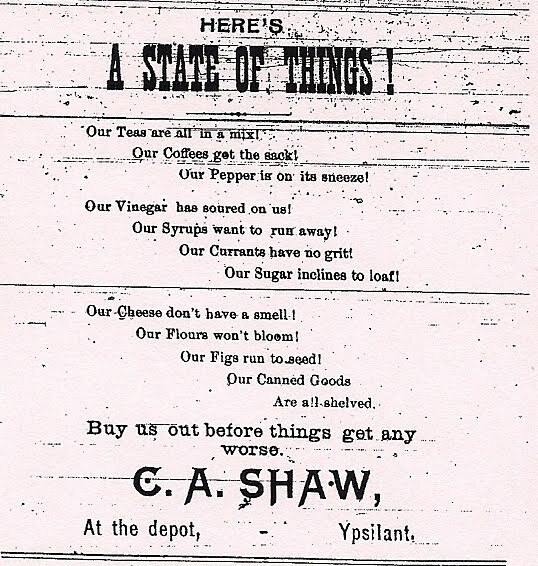 What were Ypsilantians up to according to the January 20, 1888 issue of the Ypsilanti Commercial? 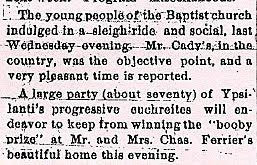 Well, the Women's Christian Temperance Union met at Mrs. Buchanan's house, a shipment of ice came in on the train, and it was a bit too slippery to safely walk around. Without screens, radio, or even (for most folks) telephones, what on earth did people do to enjoy themselves and socialize during the winter? Sleigh rides are peppered all throughout the January issues of the weekly Commercial. For the less adventurous, euchre and pedro card games were popular. And 1888 was a leap year. In reading the old Commercial, there are several references in the January issues to the fact that this apparently presents some sort of romantic opportunity to "the ladies." I get the impression that leap years were regarded as a sort of Sadie Hawkins year. Dusty D had never heard of this before--perhaps its a forgotten custom. 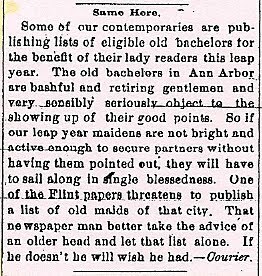 Here the Commercial reprints some leap-year advice from the Ann Arbor Courier. Last time we ventured a bit out of town to view this Mystery Spot, which as BF and Phantom Railfan correctly guessed is the Saline Depot. 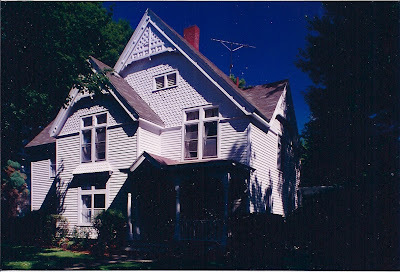 As you know the structure still exists and is a museum, one of two maintained by the Saline Historical Society. The other museum is the Depression-era farm the Rentschler Farm. This time we're back in town, but it's a tricky one since this building is long gone. According to the blurb accompanying this engraving, "It was originally erected for a hotel in the "boom" times of the early thirties; but after the financial crash of 1837 it was a dead property until [something] was established in the fall of 1844." Kind readers will recall that Abba let her diary lapse shortly after Thanksgiving. It picks up again in January of 1890, so we now return to see what Abba and her family are up to in the beginning of the year. Wensday Jan 1st 1890: New Year's day has been very disagreeable as it has rained nearly all day. Grandma and Grandpa were up to dinner and we all went down to their house to tea and spent the evening. We have not had any snow yet this winter excepting a little on Thanksgiving day. Eber went to St. Clair to spend Thanksgiving and Sew and Mrs. Moore came down here. I never saw such a warm Christmas before. 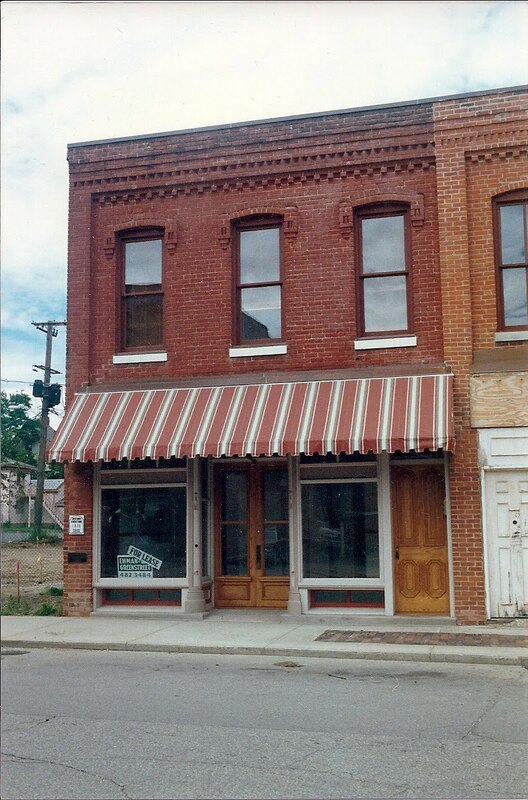 Mama and Grandma went out for a walk around the place in the afternoon and went and sat down on the rustic seat in the front yard and the night before Christmas we were down town waiting at Mr. Wallace's for Eber to come with the carriage and we sat down on the chairs in front of the store it was so warm. Thursday Jan. 2nd: It rained this morning, but this afternoon has been pleasant. 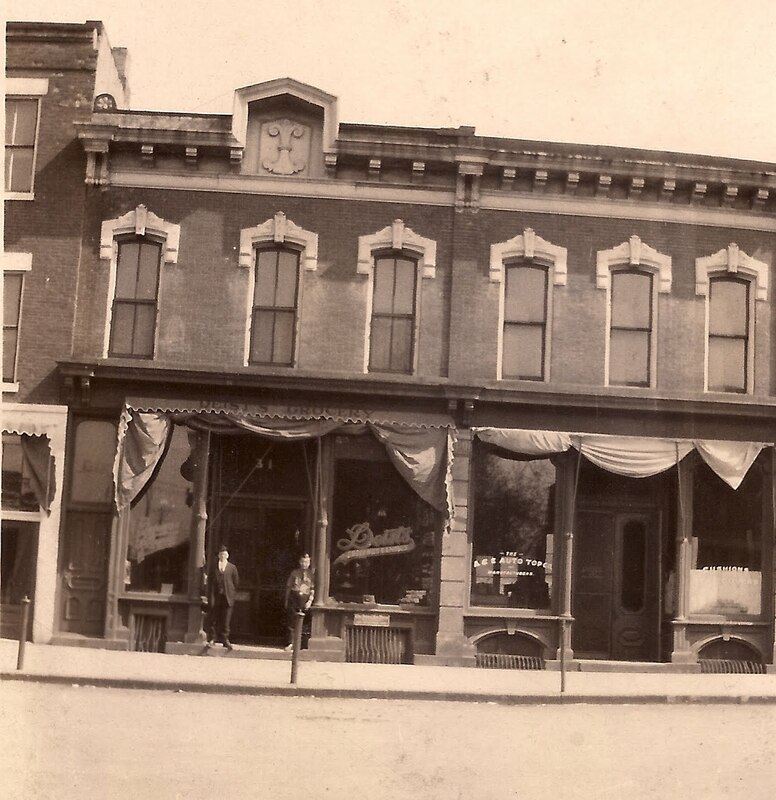 Mama and Grandma went to the Parish Aid Society which was to have met at Mrs. Watling's but as she was sick they went to Mrs. Huston's which is next door. Mrs. Burton called this afternoon and left a duet that she wanted Richard and I to play at the next Sappho. Miss Allie Gilbert was at the Parish Aid Society and wore a corsage bouquet of Stock-gillis [?] which she picked in their garden. It seems wonderful that they should bloom in Jan. Papa had a present sent him of 5 nice partridges from Mr. Grady who lives in Caro, Mich. We received invitations to a dancing party at Miss Susie Sander's for to-morrow evening but we sent our regrets. Friday Jan. 3rd: It has been quite a little colder to-day. Grandma came up and spent the afternoon. Mama received a letter from Mrs. Parsons telling how pleased she was with the silver cup and saucer and syrup cup [that] mama sent her for her 25th Anniversary. Grandma also sent her a very handsome silver berry spoon. Saturday Jan. 4th: Towards evening it began to cloud up and then to rain. The [was in Arabian?] just came to our house to-day and had things to see which were from Arabia. She was very interesting to talk with. Mama and I went down town this afternoon and Eber made a very pleasant call at the Rectory. Sunday Jan. 5th: It has been a very disagreeable Sunday as it has rained nearly all day. Mr. Post called this after noon and he is just getting of the the "Grip" epidemic which is going all over. His wife is also very sick with it. Monday Jan. 6th: To-day ends my vacation as school begins tomorrow. Mr. Suderer came this evening gave me a violin lesson and afterwards we played euchre until train time. Tuesday Jan. 7th: It has been cloudy all day. I commenced school this morning and there was a very good attendance. Eber went to Ann Arbor this morning did not expect him for the first day. Most all of the students said that [they] had a lovely vacation and were sorry to commence again. Jennie Schuler and Arthur Putnam were married this afternoon at the Episcopal Church. Grandma Mama and I went. It went off very nicely. Mr. [Ipolain?] came from Grand Rapids to marry them and Mr. [Ilovd?] assisted him. The bride and groom start for Manistique this morning where Mr. Putnam is in business. Wensday Jan. 8th: It is a great deal colder to-day and has been trying to snow all day and the wind is blowing very hard. 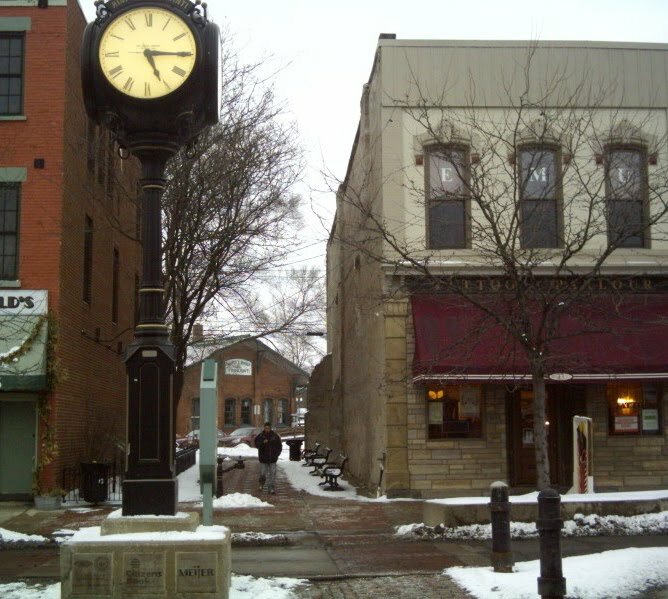 Thursday Jan. 9th: Eber went to Ann Arbor this morning and this afternoon Mama and Grandma went to the society which met at Mrs. Cheever's. Mama Grandma and I went over to Normal Hall this evening to hear Mr. Powers, the great elocutionist. He persinated [impersonated] the characters in "David Copperfield" and he was splendid. There were 4 acts and between them they had songs, words by Dickens. Friday Jan. 10th: It has been a dark day. This afternoon I went down and had my head shampooed. Eber came home this evening and brought Lew with him (they room together at AA) in the evening we had some music and then played pedro. Eber and Rick against Lew and I and we were victorious. Afterwards we had refreshments such as mince pie, cake, and cider. Saturday Jan. 11: Rained last night and this morning cleared up and sun shone bright. We wanted a turkey for dinner so Rick called them up to the back door and shot one as he could not catch it. Lew went back on the afternoon train. Mama and I went down to L[adies'] Library this afternoon. Sunday Jan. 12th: It has been a dark, gloomy day and has rained heavy all the time. Grandpa and Grandma were up to dinner. Monday Jan. 13th: The wind blew terribly all night and it has been trying to rain all day. Eber went to AA this A.M. 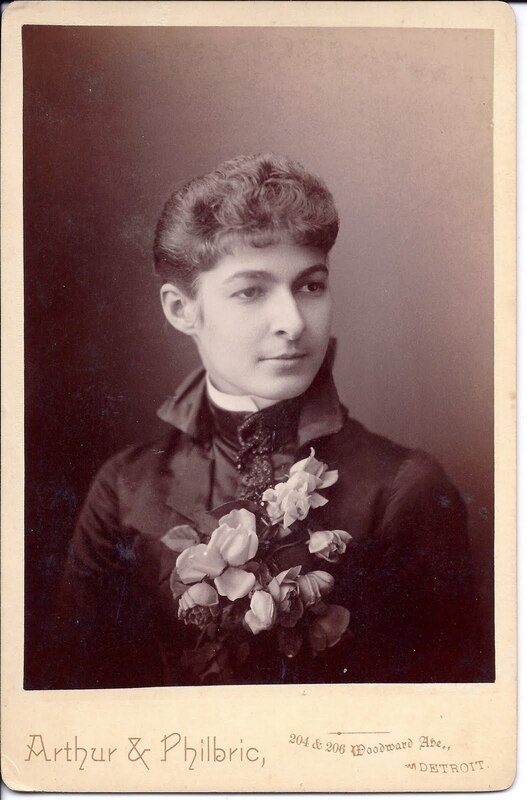 I received a letter from Nellie Whiting who is in Washington D.C. and answered it right away. Prof. Suderer is here this evening to give our violin lessons. Mr. [Krisbal?] from Chicago was here to dinner. Tuesday Jan. 14th: It is a good deal warmer to-day. Ebe came home unexpectedly this noon. Mama and I went over to the Sappho club this afternoon at the Conservatory of Music. Grandma was up and spent the after noon. Wensday Jan. 15th: Eber is sick in bed and has had the doctor. It seems as if nearly every one is having the "Grip," a kind of influenza. Thursday Jan. 16th: Little flurries of snow all day. Mrs. Pease came over this morning to practice a solo which she is to sing to-morrow night at the Normal Public and I play the obbligato on the violin and I shall also play a solo. Margarete Gilbert made a long call here this morning and also Clara Goodspeede. This afternoon Grandma was up here and Mama went to the Society and I went over to the conservatory of music to practice with Mrs. Pease again. I have not been to school all this week. 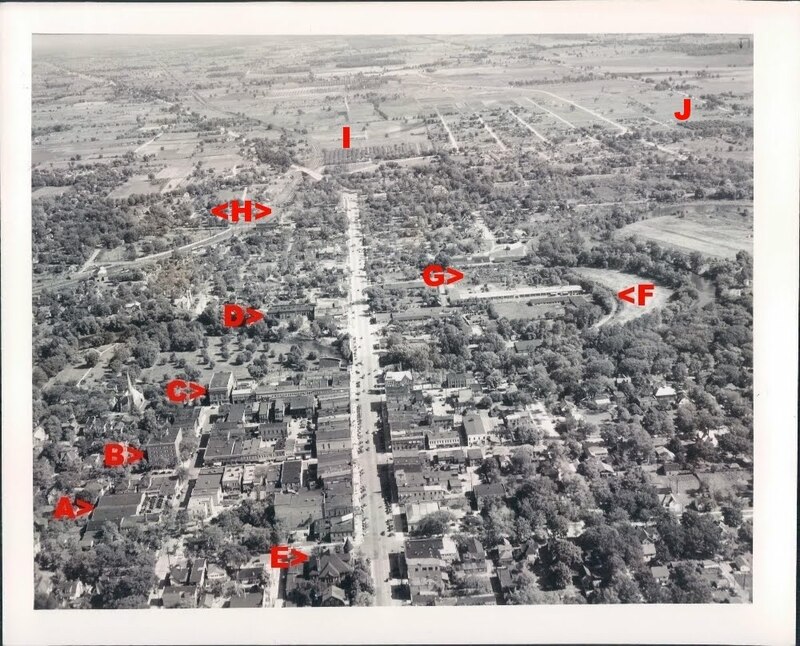 When some half-starved children in Ypsi developed rickets, the dread disease that leads to debilitating bone loss, how did the city respond? The answer is in today's YpsiNews column. Let's go to the Martha tonight. No, we always go there. What's playing at the Wuerth? 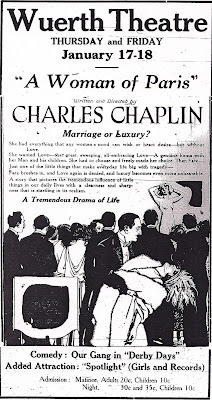 Let's see...a Charlie Chaplin picture, "A Woman of Paris." Oh, he's funny. What's it about? Hmm...it sounds like a melodrama. Not comedy. That's odd. OK, let's try it. Their matinee is cheaper than at the Martha, anyways. Say, look at that picture. Is she...wearing anything? What's Playing at the Martha? Like to go see a movie this weekend? 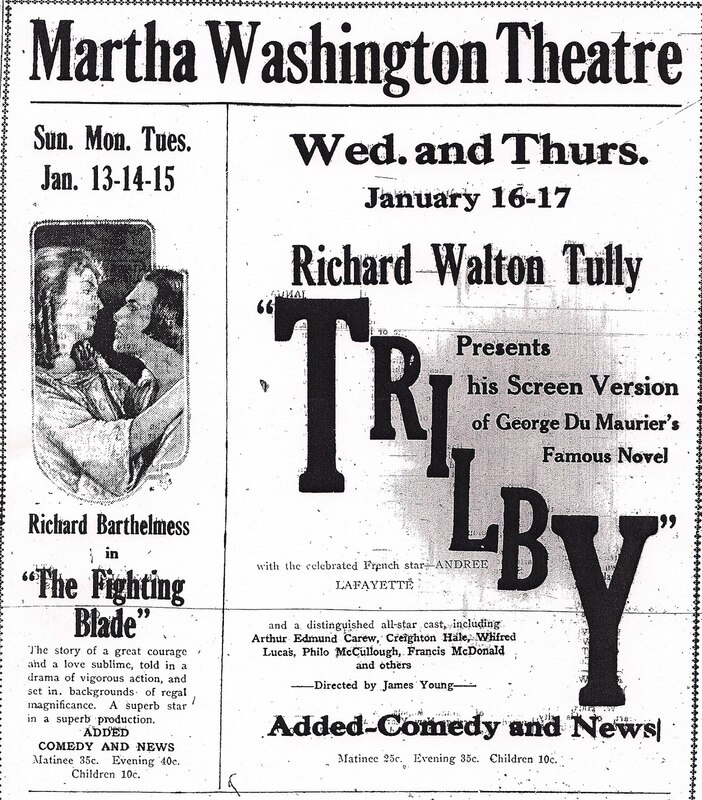 Over at the Martha they have "The Fighting Blade." That's the one set during the English civil war. Richard Barthelmess plays a soldier of fortune who ends fighting for Cromwell. It's a historical drama. Eh, everyone thinks he's so handsome; I don't think so. Anything later in the week? Yeah, on the 16th and 17th they have "Trilby." Ooh, is that based on the book about that Svengali who hypnotizes the maid and makes her a great singer? Isn't that the one that will indirectly inspire the long-running Broadway musical The Phantom of the Opera sixty years from now? 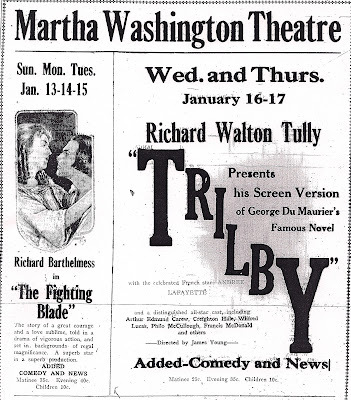 Yeah, let's go see "Trilby"! 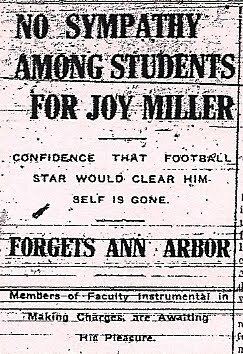 The recent saga of the U-M football program calls to mind a scandal of a century ago...one involving the strange story of a former football star-turned-amnesiac. He vanished from the gridiron and materialized months later in the wilds of Canada. Thanks to the Chronicle for publishing it. Last week a FB post by Andy Ypsilanti alerted Dusty D to the startling news that Ann Arbor's ReUse Center had some of the bicycles from the closing GM plant. Dusty D immediately snapped to attention! My husband very kindly and considerately offered to swing by on a work break and take a gander. 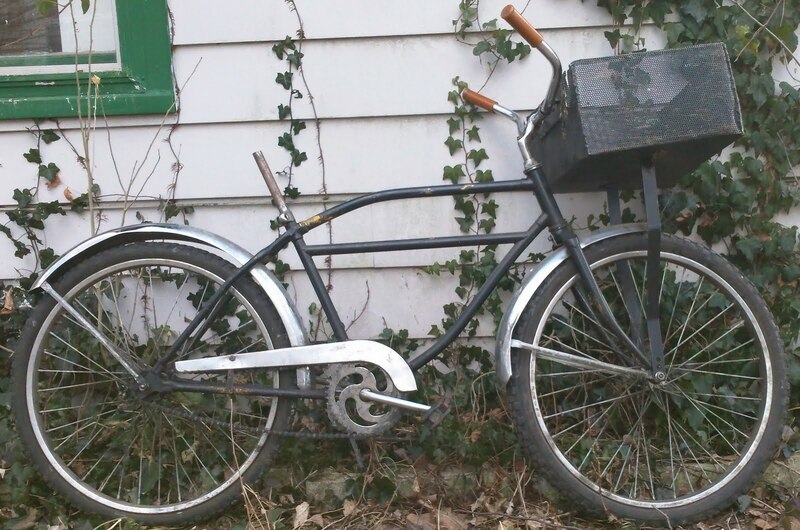 Well, he got there at the crack of 9 and managed to snag one of the bikes! I think he picked the best one. 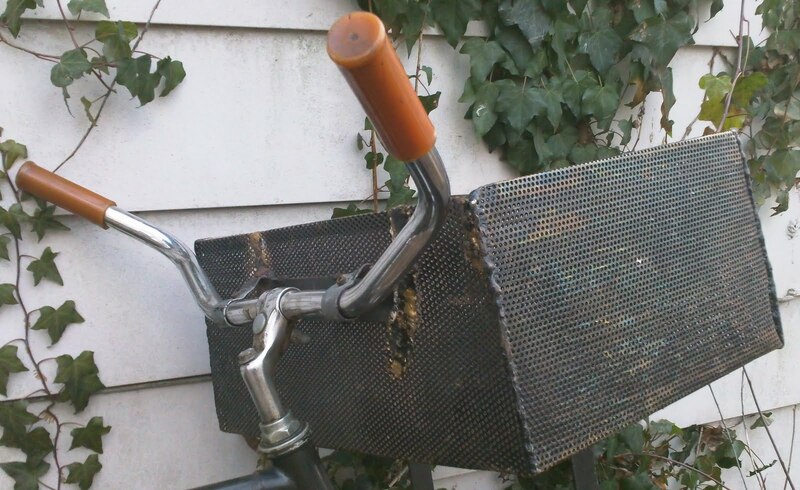 Check out the basket. It appears to have been a DIY project. It has life and personality and the mark of its anonymous makers. Would you believe he managed to fit this beast into his Geo Metro? Yessir. He's a bit of a magician at times. 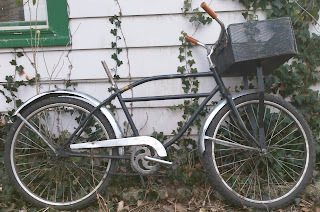 Dusty D is thrilled that her resourceful and kind husband grabbed this historic and irreplaceable vehicle. I was so overjoyed about it I wrote it up for the Courier. Thanks to Gary Urick at the ReUse Center and to the two plant workers, Mr. D. and Mr. G., who kindly gave me their time and talked with me. I appreciate it!